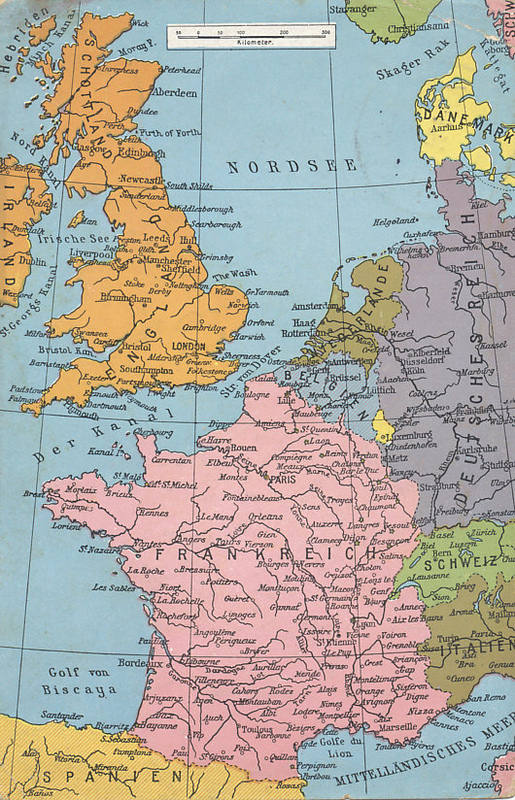 Map of western Europe from the Mediterranean to the North sea, including France and Belgium, the Western Front. 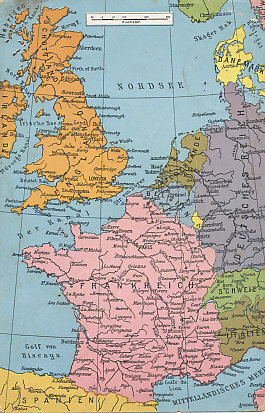 English Channel, an arm of the Atlantic Ocean connecting to the North Sea through the Strait of Dover. English Channel is a strait.